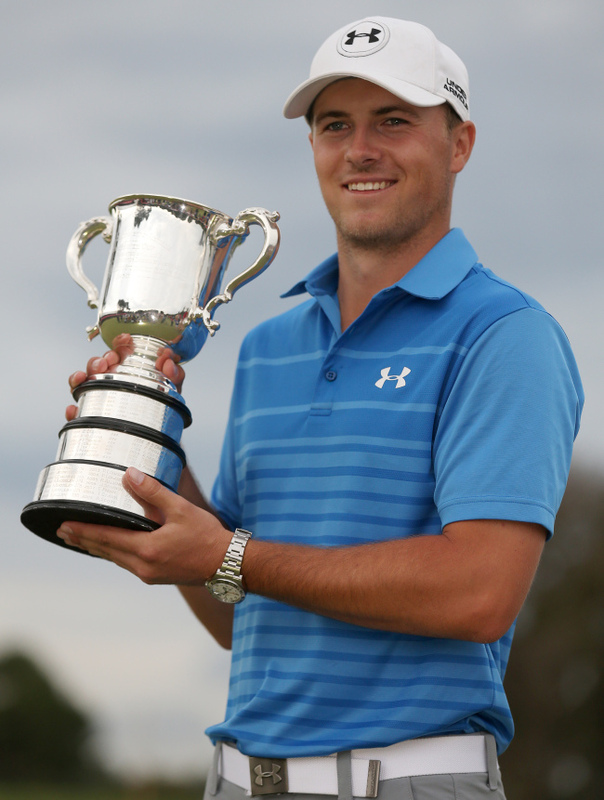 SYDNEY (AP) ― Jordan Spieth played the best round of his life to shoot an 8-under 63 on Sunday and win the Australian Open by six strokes, making his first trip Down Under a successful one. Spieth’s four-round total of 13-under 271 on the tough, windy Australian Golf Club made him the first American to win the Australian Open since Brad Faxon in 1993, when the 21-year-old Spieth was four months old. Spieth birdied four holes on the front nine ― three of them in a row ― to lead by three strokes after nine holes, then made light of the challenging, windy conditions by adding four more on the back nine, never threatening to lose his lead. Leading local hope Adam Scott shot 71 and finished fifth, nine strokes behind. Defending champion Rory McIlroy, who shot 76 on Saturday, finished with a 72 and was 2-over, 15 strokes behind Spieth. Three Australians who finished closest to Spieth earned trips to next July’s British Open.